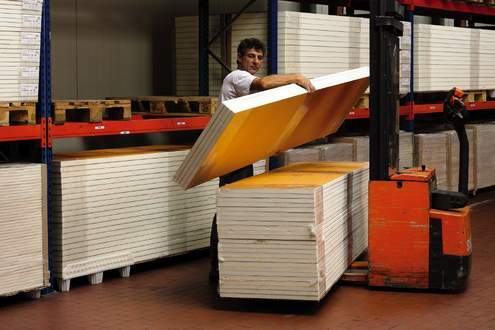 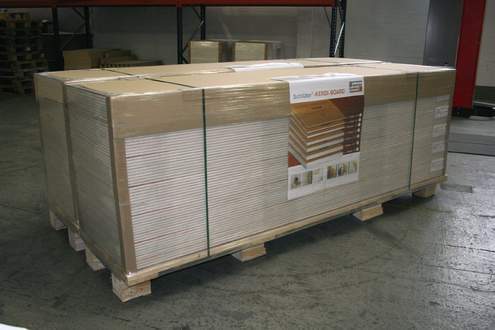 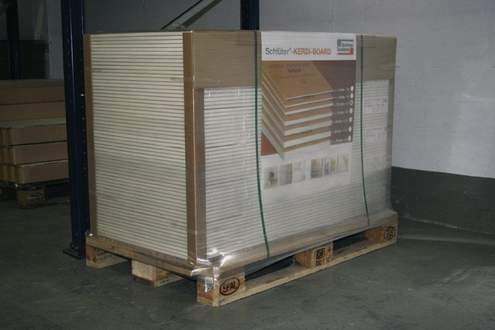 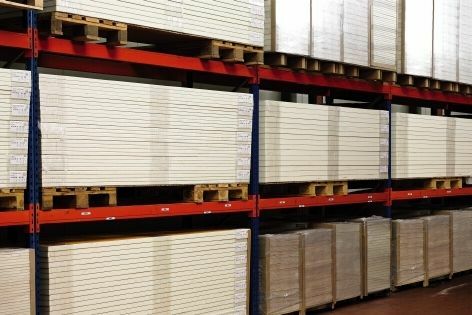 Schlüter-KERDI-BOARD is supplied on practical disposable wooden pallets (for panel length 260 cm) or on European standard pallets (for panel length 125 cm). 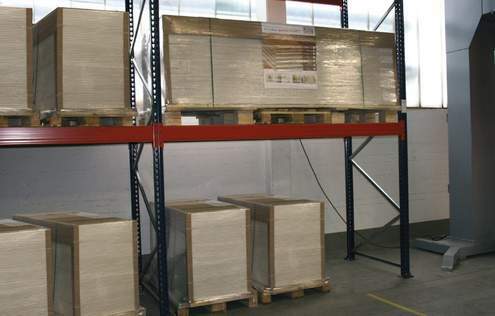 Both panel lengths are suitable for storage in warehouse rack systems without bottom shelves. 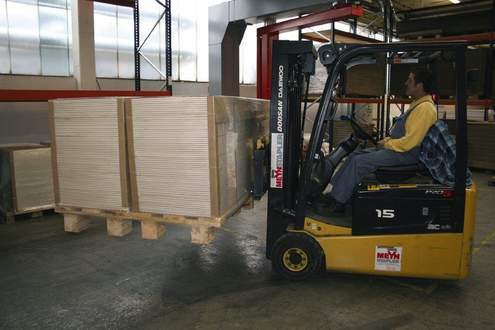 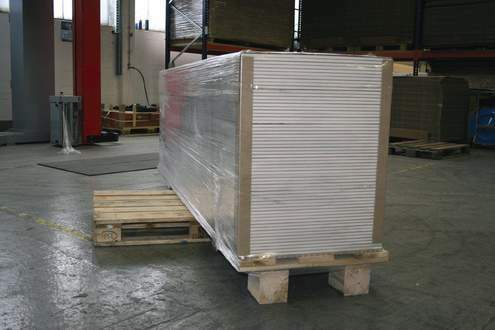 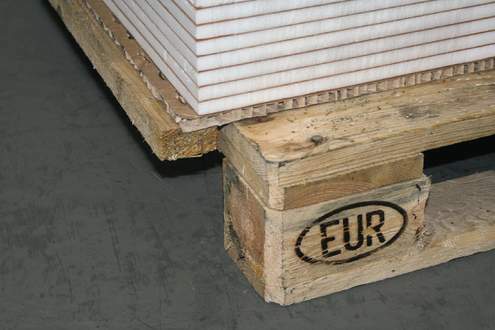 For panel length 260 cm, simply slide a European pallet under the pallet(s) to be stored. 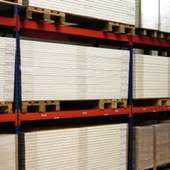 Click on the icon under the image for more detailed information.